Our Beginner to Blogger series offers personal finance bloggers a chance to share how they started their personal finance journey, what early obstacles and mistakes they’ve overcome, and how they’re still improving – even as a money “expert” or blog personality today. Today’s interview comes is by The Poor Swiss! My name is Mr. The Poor Swiss. 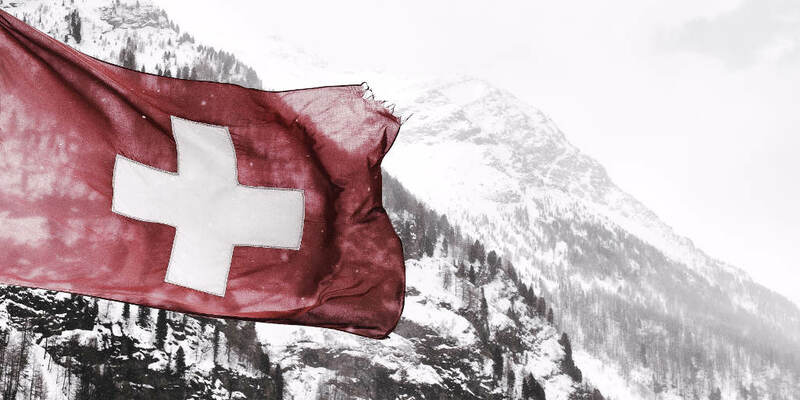 I am 30 years old and live in Switzerland. I am a software developer, and I just finished my Ph.D. in computer science last year. I am newly married, less than six months ago. On my blog, I share the details of my road to Financial Independence. I started with a savings rate of 6% and I am now averaging about 30% since I started my blog. What prompted you to start focusing on your personal finances? I was a victim of lifestyle inflation. My salary increased during my Ph.D. But my expenses did the same. I had always kept track of all my spending, but my main mistake was to only care about what was left at the end of the month. I was still saving something every month, but this was not increasing over time. My turning point was in Autumn 2017. I read somewhere about savings rate. It seemed like a nice little metric, so I computed my savings rate for all the time I kept a budget. I realized that in 2017 my savings rate was only 7%. Back in 2016, it was 18%. So my savings rate was going down as my income was increasing. It should have been the opposite. This showed me that it was doing something terribly wrong. I started reading many blogs and books and decided I wanted to become financially independent. What was the greatest financial obstacle you faced or mistake you made during the “early days” of your personal finances? How did you improve the situation? I tried to be smarter than others with my asset allocation. My investing portfolio at the beginning was made of too many funds. I had seven funds and some of them contained the same positions. I had a lot of help from the community to simplify my portfolio. It went down to three funds. And I am probably going to simplify it to two funds in the near future. What is one area of personal finance that you still struggle with? I am far from being a minimalist. Actually, I wish to be more minimalist. There are many advantages to minimalism, but I am having a hard reducing the amount of burden I’ve got. I’ve got so many computer stuff and books at home. It is still difficult for me to reduce this. 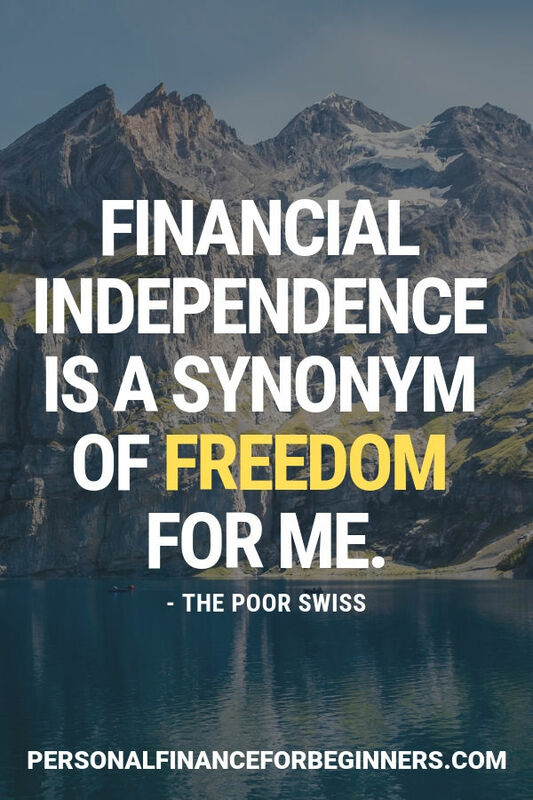 Financial Independence is a synonym of freedom for me. It is the freedom of choice to go to work and not having to go to work. I think it is a very important difference. And it is also safety. You are prepared in case your company eliminates your position. You are also safer in case you are unable to work for some reason. And I really like the freedom and safety that this will bring to me. Since making your personal finances a priority, how has your quality of life changed (happiness, relationships, career, hobbies)? What’s improved that you may not have expected, or what unexpected challenges may have surprised you? I do not think a lot has changed. I would say that my mindset towards consumerism has improved a lot. I am much responsible for buying new things. I am trying to do more things by myself instead of buying them. For instance, I started building wood furniture myself and discovered it was a really enjoyable hobby. Finally, I am also a bit more ambitious towards growing my career income. What advice (money or career-related) would you give to a recent college graduate just starting their first full-time job? Do not fall into the trap of lifestyle inflation! One should set a budget early on and stick to it. I now believe that it is better to be able to save more than to spend more. And it is never too early to think about the long-term future of retirement. What is a common misconception or belief about money you’d like to warn beginners about? A lot of people believe that investing is very difficult and is best left to bankers. This could not be more wrong. I have discovered that investing by oneself is actually quite easy if you do it correctly. And you can save a lot of money by not using the very expensive funds that your banker is likely to recommend you. In the last three years, what is one new behavior or decision that has most improved your financial situation? If I had to pick one, I would probably have to say setting goals. Before, I was not really setting goals to myself for my personal finances. At the beginning of this year, I set myself some strong goals. In the beginning, I was thinking that the goals were difficult to achieve. But it really motivated me and I actually almost finished all the goals early on. Next year, I will set some stronger goals for me and I hope it will motivate even more. What is one item you like to splurge on? I am a big geek. I have several computers and servers at home. I have many home automation gadgets all over the place. And this is something I always want to spend money on. It is difficult to restrain myself, but I do not really splurge on it anymore. In the years before my blog, I was easily spending about 3,000 dollars per year on it. If you could give a personal finance book to everyone just starting their financial journey, what book would you give them? It is difficult to pick only one book. I would probably recommend The Millionaire Next Door by Stanley and Danko. This is a really great book that makes you realize that one does not become a millionaire by splurging a high income but by saving a lot of that high income. Many people do not realize that wealth and income are very different. What led to your decision to start a blog, and what has your experience been like so far? When I realized that my personal finances were in a very bad shape, I wanted to keep a trace of my journey to better days. So, I decided to start a new blog about this. I wanted to share my mistakes to help people avoid them. My experience is mixed. From a personal point of view, it’s really great. I have learned a lot about personal finance by doing research from my posts. And I’ve improved significantly my budget and net worth. From a blogging point of view, I’m a bit disappointed by the size of my audience. I feel like I’m doing something wrong as a blogger. But as long as I still like to write, I will continue to blog! If you had to delete all of your blog posts except for one, which post would you keep and why? It would be 7 Reasons to Become Financially Independent. Although this post was not very popular, it made me realize how much financial independence was something important. Before writing this post, I only had one reason to become financially independent: being able to retire. But Financial Independence is much more than that. And writing this article made me realize that there are many more reasons for it!